We are a family oriented practice and strive to make our patient’s well-being our number one priority. Our staff is gentle, kind, and respectful while providing each patient with the most efficient and highest quality of treatment. At Batastini Orthodontics, we realize that occasionally you may overlook an appointment or need to change an appointment time. When this happens we will do our best to reschedule your appointment as soon as possible; however, our appointment times fill up fast. It is very important to try and keep your regular scheduled appointments, because missed appointments or numerous appointment changes will only delay and extend your treatment time. We reserve certain times during the day to assist patients that may have wires poking or brackets off. Please call early in the day to keep your waiting time to a minimum. If you have an actual orthodontic emergency after hours or on the weekend and you are unable to make yourself comfortable, please call one of our 3 locations for further instructions on our voicemail. Success in orthodontics treatment requires patients to be active in the process. One of the most important steps is maintaining superior dental hygiene, which includes brushing, flossing and regular check ups. 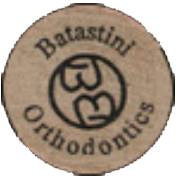 At Batastini Orthodontics, our team is committed to providing all the tools and tips needed to ensure patients understand proper techniques. Dr. Batastini and staff are available to answer questions and address concerns as needed. Together, we will develop a mutual confidence and advance step-by-step towards the ultimate goal . . . a beautiful, healthy smile. We have developed an incentive program to reward our top notch patients with wooden nickels. These reward winning nickels can be traded daily or accumulated for bigger and better prizes. Be sure to check out the display case for your next wooden nickel reward. Start Collecting Your Nickels Today!